In the sixth of our series of bird guides, recorded on location on The Long Mynd in Shropshire, Brett Westwood and Stephen Moss are assisted by wildlife sound recordist Chris Watson as they present a guide to the appearance, behaviour, songs and calls of the birds you may find around Britain's mountains and moorlands. Each programme focuses on a different habitat, starting with heather moors and birds such as Black Grouse and Merlin, before moving on to cliffs and crags (Raven and Peregrine); upland grasslands (Skylark and Curlew); bogs and mires (Golden Plover and Greenshank) and high tops (Ptarmigan and Snow Bunting). 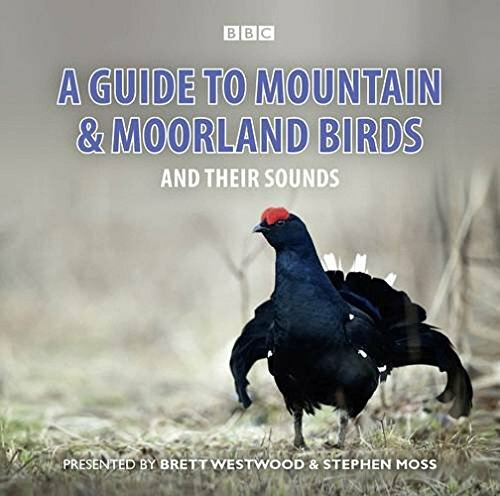 Full of useful hints and tips on how to recognise birds visually and identify them by their sound, this knowledgeable and entertaining guide will appeal to beginner and expert birdwatchers alike; as well as anyone who is eager to know more about the beautiful birds of the British countryside.